Since Pokkén Tournament was teased in August of 2013 fans of the Pokémon series have been dying to get their hands on the fighting title. Now that it’s almost here players are wondering if it will become the next big thing competitively for Nintendo or get bogged down due to some strange Wii U limitations. It should be noted that this article is viewing Pokkén from a purely competitive standpoint. It has no bearing on how fun or accessible the game will be to the average player. Please see my final thoughts for more on this. Pokkén is not your average Pokémon title, putting players in direct control of their favorite pocket monster as they duke it out with a traditional fighting game spin. Unlike series like Street Fighter or Marvel vs Capcom, Pokkén lets combatants move in all directions while still keeping them in line with their opponent. It’s unsurprisingly similar to Tekken, a series whose team actually worked with Nintendo to create Pokkén in the first place. 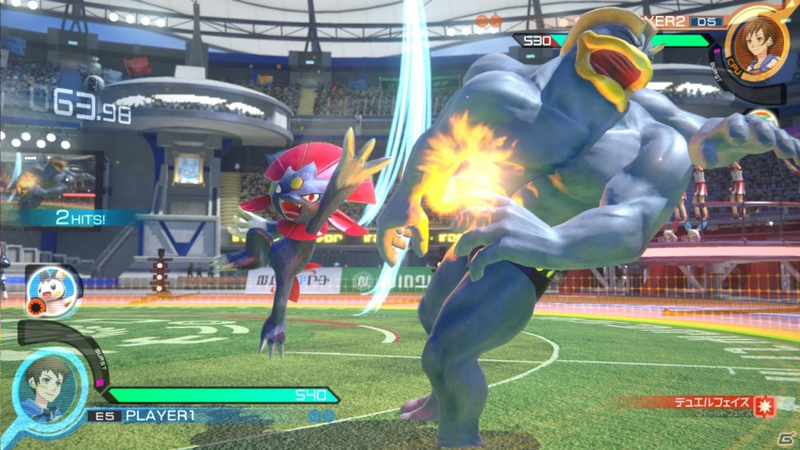 The main difference is that Pokkén has much more three dimensional movement involved. In the Japanese arcades, where the game premiered, players would choose a cabinet and play against opponents on different cabinets nearby or through the internet. This meant that each player had their own screen to focus on, which was imperative due to the three dimensional movement I mentioned earlier. Players don’t always see their opponents when they are moving around the ring, but they need to have a view of their own Pokémon at all times. Basically, everyone needs their own screen. This isn’t an issue in an arcade setting, but from a home console standpoint it’s far from ideal. “But wait!” you shout at the screen, “The Wii U actually has a second screen!” That it does. And this is how Nintendo is planning on making folks play. With one person focused on the TV screen and another on the gamepad. Herein lies the first problem. When it comes to the competitive fighting scene there has always been a big push to make sure neither side has an unfair advantage over the other. Forcing one player to use the Gamepad’s 6.2 inch screen while the other gets to use a full size television doesn’t seem like something that would sit well with players. Sure, it works, and both players can see and fight, but it’s definitely not fair to who ever gets stuck with the Gamepad’s dinky display. This means that tournaments that want to keep things fair will have to set up two TVs and two Wii U for each match of Pokkén. Which, once again, is doable, but seriously cuts back on the number of matches that can take place at a single time. If a tournament organizer was hosting a Smash Bros tournament with 32 setups (TVs with a system) they could have 32 matches going at once, something that is imperative to making brackets move more quickly. But with the same number of setups one would only be able to have 16 Pokkén matches going. A legitimate issue. Not to mention that Gamepad play can become blurry and laggy at times if there is too much happening on screen, a problem that almost crippled the multiplayer aspect of the Wii U title Hyrule Warriors. Players have also mentioned that during Pokkén multiplayer on a single system the frame rate falls from 60 fps to 30 fps, which can affect a players timing substantially depending on the moves and characters involved. Next we have the controller problem. There are a few different controllers to choose from, and even a special wired one that can only be used for Pokkén. But let’s say you get really good at playing with the Gamepad and want to use it in a tournament. Not a problem, until you run into an opponent who also wants to use the Gamepad. Sorry folks, only one Gamepad per Wii U, so someone is going to have to play with their second choice controller. Great. But wait, there’s more! The UK Nintendo store website, an official Nintendo entity, recently listed this information about the special Pokkén controller. If this is correct (and why wouldn’t it be?) then players who pick the Pokkén “Pro Pad” will force their opponent to play with the Wii U Gamepad. But what if you’re much better with the Pro Pad? Chances are players who want to complete in actual Pokken tournament’s will prefer the specialized controller, much like Smash Bros players almost unanimously use the GameCube controller. Not only does one person apparently have to use the Gamepad as a controller, that person is now also stuck with the Gamepad as a screen. What a mess. These are the issues that are sure to plague Pokkén Tournament when it drops this coming March, at least from a competitive standpoint. Which makes it all the more interesting that Pokkén was picked as one of the nine titles that will be featured at world renowned fighting tournament EVO 2016 this coming July. We don’t know if Pokkén will be accepted into the bizarre hierarchy of fighting game legends, though it sure seems like Nintendo and The Pokemon Company want to give it a shot right out of the starting gates. I suppose we’ll just have to wait and see how it all plays out. The Big N’s best bet, as far as a fix is concerned, would be to work in a two player split screen option and tweak the controller setup to allow more than just one payer to use their Pro Pad at a time. The split screen option may not even be a viable fix, as the Wii U may not be able to handle that much action from two completely different view points at once without a considerable drop in frame rate. Both fixes are not something Nintendo could likely address before launch next month, but perhaps a patch down the line could fill in the gaps. Even if Nintendo decided to fix these details, it doesn’t mean Pokkén will take off as a competitive game. And regardless if it does or doesn’t take off, none of these problems will (or should) take away from Pokkén as game. I’m sure it will find an audience to please no matter how it stacks up to other games as a fighter. As someone who was lucky enough to play it last summer in Japan, I can tell you that I very much enjoied it and believe Wii U owners will too. For more Pikachu body slams and Lucario uppercuts you can follow GBD on Twitter @SuperBentendo. A big thanks to Isaias Rodriguez (@PeterZza), who brought all this to my attention.